Our Coral Springs injury and accident lawyers can provide you with the complete personal injury legal representation that you will need following a Coral Springs accident. If you would like us to help you, just call us toll free at 1-855-982-2067 for your completely confidential consultation right away. We are committed to customer service and clear communication. We are able to have our Coral Springs accident lawyers speak with you by phone, Skype or text. You are welcome to make an appointment in our offices in Fort Lauderdale, Miami or West Palm Beach. We can always come to you wherever it is most convenient. 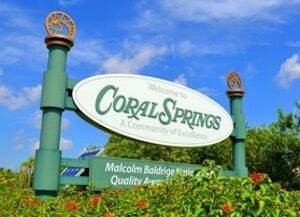 If, through no fault of your own, you were seriously injured in Coral Springs what could you do? You would want to hold the responsible person or corporation accountable. But how could you do that? One thing you could do is to call the Coral Springs personal injury lawyers of the Wolfson Law Firm. Our lawyers have represented victims of negligence throughout South Florida since 1963 and they are standing by to help you too. Our South Florida personal injury lawyers provide all clients with the type of professional yet aggressive legal representation that they expect and deserve. It is up to you to find the best Coral Springs personal injury attorney that you can find to represent you and your family. Once you are sure that you have found the top Coral Springs accident lawyer, you can then work on your recovery and let your lawyers work hard on your behalf. Our Coral Springs accident attorneys would welcome the opportunity to be the lawyer you choose after your Coral Springs accident. We invite you to research us online, review our qualifications and check our recent results. If you were injured in any kind of Coral Springs accident, please call us at 1-855-982-2067 for your consultation free of charge. All consultations with clients and potential clients are confidential. Our Coral Springs personal injury lawyers serve all the communities and neighborhoods in South Florida including Hollywood, Lauderhill, Lighthouse Point, Pompano, Lauderdale-by-the-Sea, Rio Vista, Miramar, Hallandale Beach, Southwest Ranches, Dania Beach, Plantation, Weston, Wilton Manors, Fort Lauderdale, Unincorporated Broward County, Coral Springs, Parkland and Pembroke Pines.